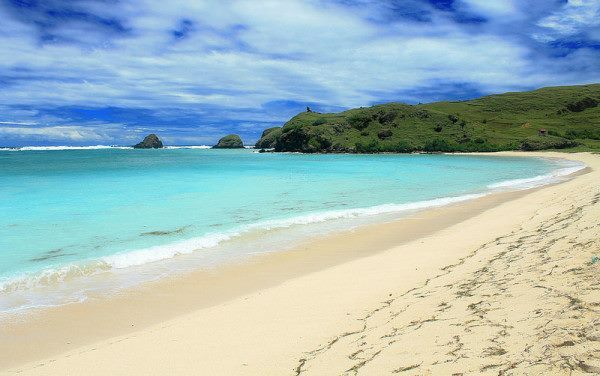 Nowadays, the popularity of the island of Lombok seems at the peak. Various tourist destinations in the region never seem an end to talk. Some of the nicknames were given to this exotic island starting from the ‘island of a thousand mosques’ to ‘thousand island beach’. Of course, giving the nickname has a background and reason. Lombok is known as the island where the religious communities in the island so strongly against the religious side so that there are many mosques can be found on the island is used for worship or other religious activities. In addition, the island also has hundreds of beaches that are still so virgin and untouched by the development in various parts of the island that stretches so beautiful and amazing. 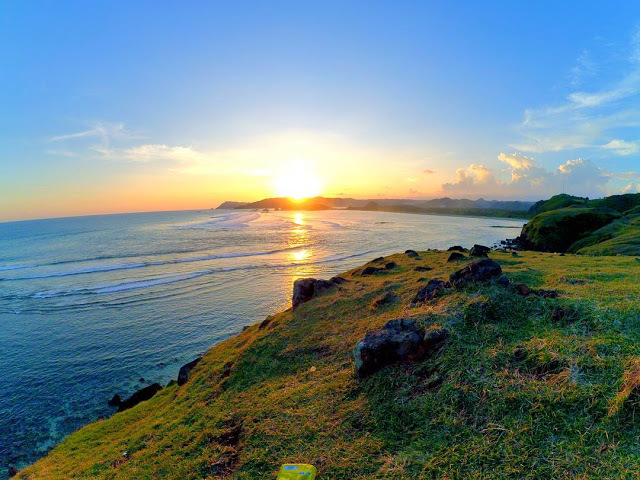 One beauty and the exotic owned island of Lombok can you find when you visit Tanjung Aan and Merese Hill is located in Central Lombok in the south. Some people may feel foreign and do not know about Merese Hill is located on the island of Lombok. 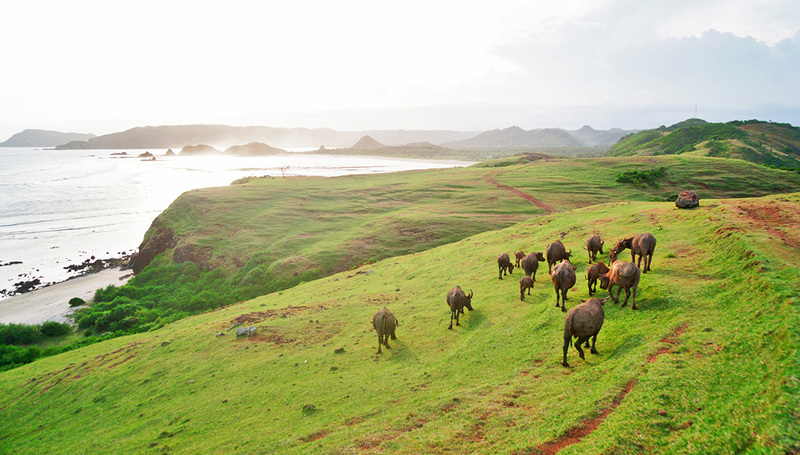 This hill is located on the southern coast of Lombok and still gets into the territory of Central Lombok. The hill is also still in a region with Tanjung Aan Beach. Tanjung Aan has a curved shape flanked by two hills that seawater has become calmer so that the region could become an attractive option to enjoy a swim and soak in seawater. If you do not already have vacation plans, entering Tanjung Aan and Merese Hill as a tourist destination of choice seems to be an attractive option. To get to the tourist areas, from Mataram, you could drive about a half hour drive or 30 minutes drive from Lombok International Airport in Pujut Praya. You do not need to worry because the access road in the area is already good. However, there are about 2 kilometers there are inadequate roads so it can be a little annoying comfort when visiting the beautiful coastal region. Entering the region is also no need to pay the ticket. You will only be charged a parking fee if you bring a motor vehicle. When you arrive at the beach area of Tanjung Aan, you will be greeted with a view of the beach that is so exotic and amazing. The long coastline has fine white sand with dominance. The beach is very quiet away from the waves. On the side of the beach lined pine trees that provide coolness when you take shelter underneath. Moreover, Merese Hill was on the right side of the beach that adds to the beauty of the beach. If you want to get more spectacular of scenery, you should not miss the moment to climb to the hill Merese. You may feel a little fatigue to reach the top of the hill. However, all these tired will disappear when you get amazing views from the top of the hill. You can see the winding hills typical in the green hills. From the top of the hill, you can see the beauty Seger Beach in the west and Batu Payung and Gili Anak Anjakan in the east. The whereabouts of the shepherd with his cows also adds to the beauty of the scenery. Indonesia is very rich in various tourist destinations that are unspoiled and amazing. Before you rush to holiday abroad, you can explore the beauty in this country by visiting some of the tourist destinations in Indonesia. One of these is Tanjung Aan and Merese Hill in the area of the island of Lombok. You will find a hidden paradise in this country so rich. Hi, do you have a tour to go Tanjung Aan and Merese Hill?